More and more advertisers are taking their marketing functions in house. The Martin Sorrell’s S4 Capital acquisition of Mighty Hive demonstrates the types of investments being made to capitalize on the trend. According to CNBC and Adweek stories and confirmed by WPP’s Chief Executive Mark Read, Walmart had decided to take its digital advertising in-house and away from WPP’s agency Triad, a blow given the likely value of the Walmart business. Managing data and audiences can be costly and time consuming for one single advertiser to manage. Skydeo helps advertisers BYOD – “bring your own data” to Facebook, Google and programmatic platforms by licensing our mobile marketing platform as data as a service. Target High Income, High Home Value, Smart Home Device consumers. Powered by Skydeo AppGraph. Increase return on ad spend and sales by targeting people most likely to buy. Who is using bitcoin? Who is investing in ICOs (initial coin offerings)? 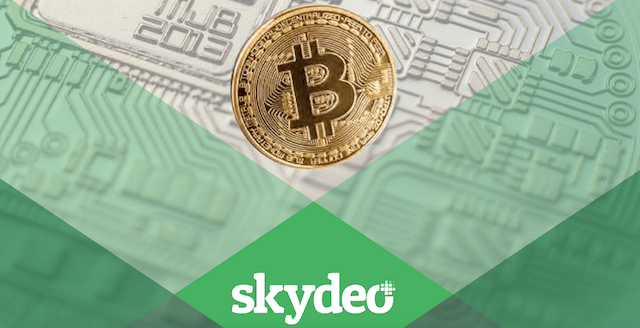 Skydeo surveyed over 100,000 bitcoin users from our panel of 607 million mobile devices. 86% of bitcoin users are Male. 65% of bitcoin users are between ages 18-34. Only 9% meet the the $1M Net Worth requirement for accredited investors. If ICOs are securities then 91% of bitcoin users would not qualify by that standard. They might meet income requirements however. If you use bitcoin you are 67% to 200% more likely to have a net worth over $1 million. Bitcoin users are 25% to 50% more likely to drive an Audi, Infinity, Lexus, Mercedes or BMW than people who don’t use bitcoin. Targeting mobile users by bitcoin or investment app ownership, auto ownership and household income will likely yield better results for ICO marketers than current marketing efforts, especially if the ICO is considered a security. Skydeo provides mobile data for brands, agencies and investment research. Is Skydeo considering an initial coin offering? We can’t comment yet but there it would be a natural fit to tie mobile data to cryptocurrency.